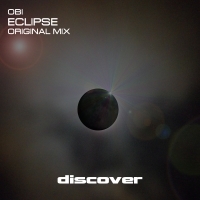 Hot on the heals of Mondo, Obi's latest release on our Discover Dark imprint, he unleashes Eclipse - a haunting but uplifting trance excursion based on an ethereal vocal sample and strong melodies. The breakdown has an almost classical feel that keeps the vox sample and moves through the gears into a strong pluck riff and huge gated chords. This is big room trance that shows just how talented Obi is! !